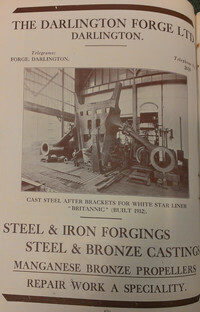 Located in the Reference Department of the Southampton Library are two volumes comprising issues of the in-house "White Star Magazine" from c.1923-1930. 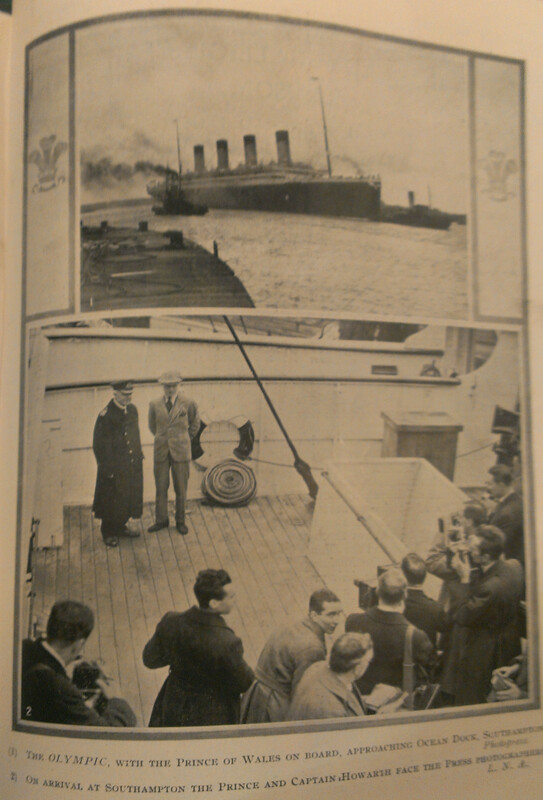 A quick perusal allowed one to obtain a variety of digital images of the photos depicting the Olympic (though the books are a rich source of data on other ships, passengers, shipboard operations and associated items of interest, for instance the legend of the Sea Serpent). 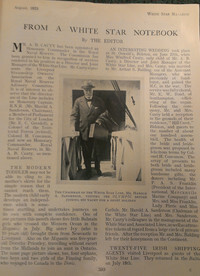 The images were taken with a mobile phone camera and display the distortion you'd expect from a book especially close to the spine; where possible these distortions have been removed but it has not always been possible. 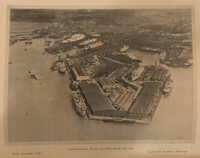 For larger versions, click on the thumbnails. 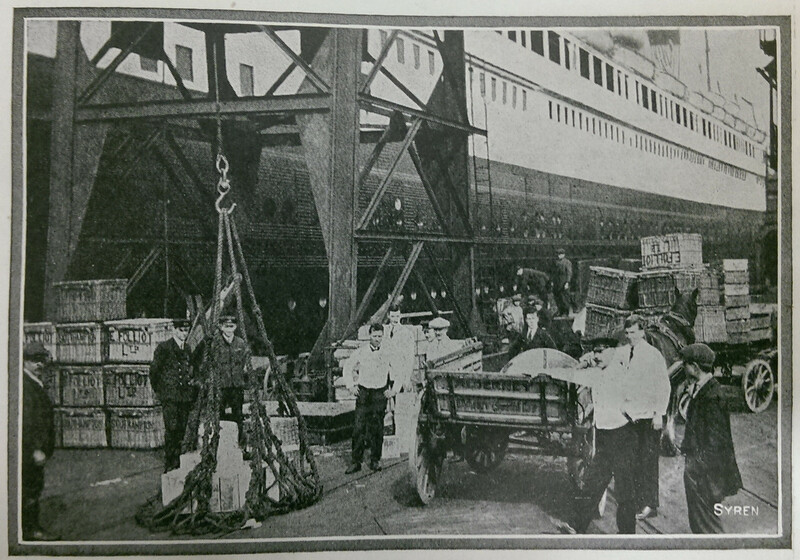 From "The Syren and Shipping" journal, editor Mr.J.L.Carozzi allowed illustrations to be included in the "White Star Magazine", including this one showing the Olympic having provisions being loaded. 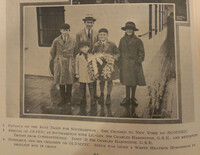 This photo, showing Steve Donoghue and his children, was taken on the starboard boat deck, at the aft end of the gymnasium. 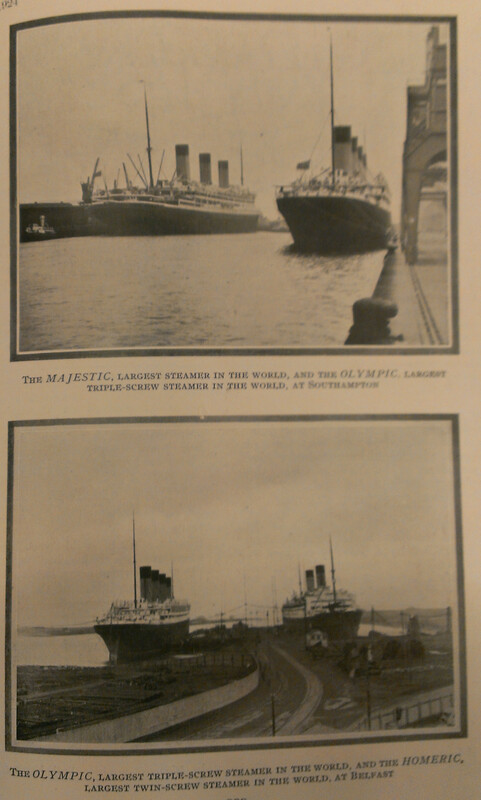 Presumably it has just been raining judging by the wet decking. 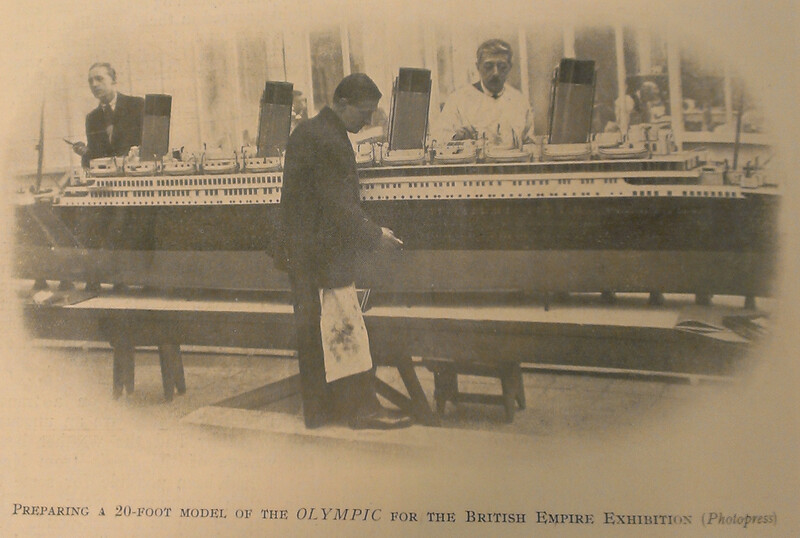 Although the caption says that this is a 20 foot long model of the Olympic, the arrangment of ports is that of the Titanic (though the lifeboat configuration is the Olympics). 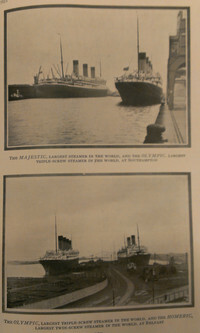 Two photos; the first showing the Olympic with the Majestic at Southampton; the second showing the Olympic with the Homeric at Belfast. 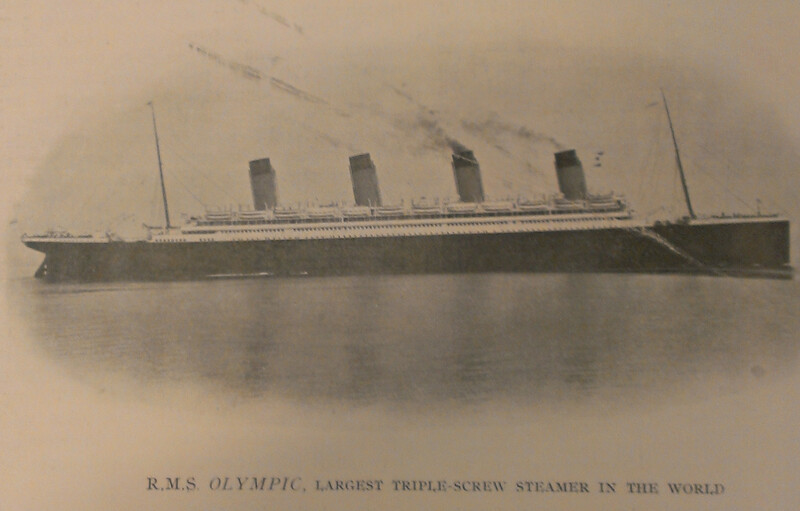 Sadly, the original photograph of this broadside shot of the Olympic seems to have been damaged. Boxer Tommy Gibbons shakes hads with P.E.Curry, the White Star Manager at Southampton; this photo was taken on board the Olympic, outside the gymnasium. 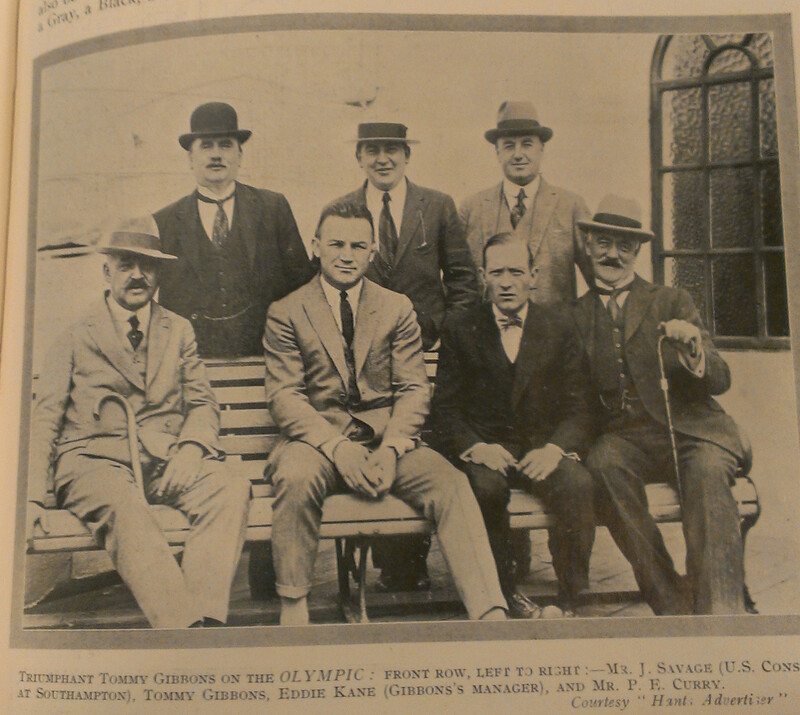 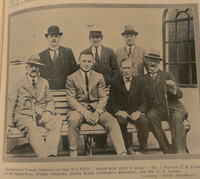 Again, taken outside the gymnasium, Tommy Gibson has his photo taken with others. In the alcove on the boat deck just aft of the port side Grand Staircase foyer, Vice Chancellor of the University of Liverpool Dr.J.G.Adami has his photo taken. The right hand photo seems to have been taken outside the gymnasium. 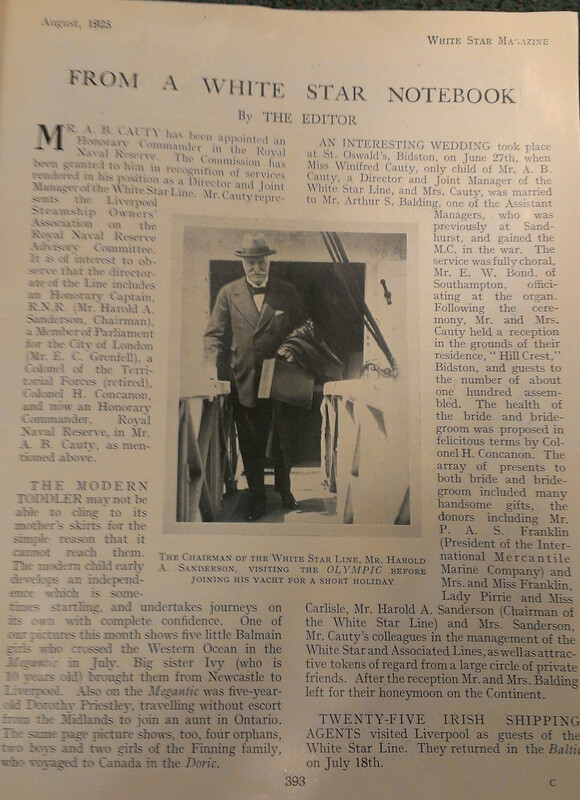 The Olympic approaching Southampton; and Captain Howarth with the Prince of Wales and the assembled press hoardes. 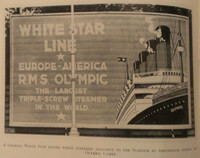 On the Titanic this is the area the distress rockets were fired from. 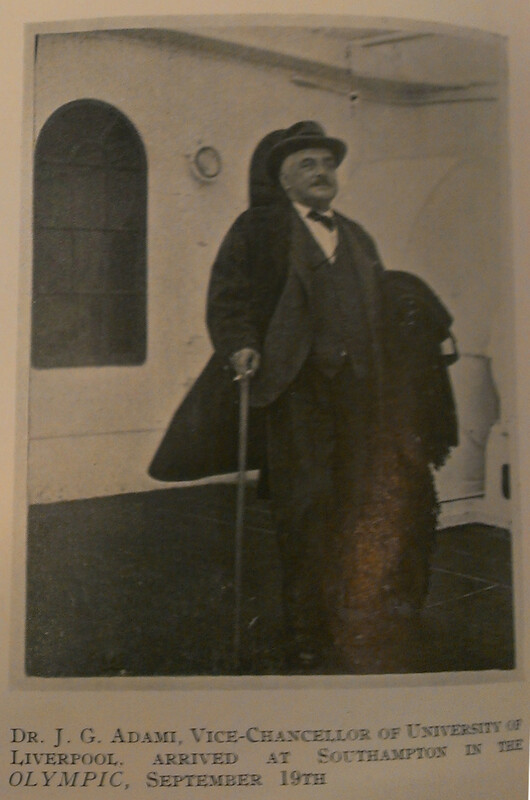 Alfred Piccaver, the operatic tenor, outside the portside Grand Staircase entrance. 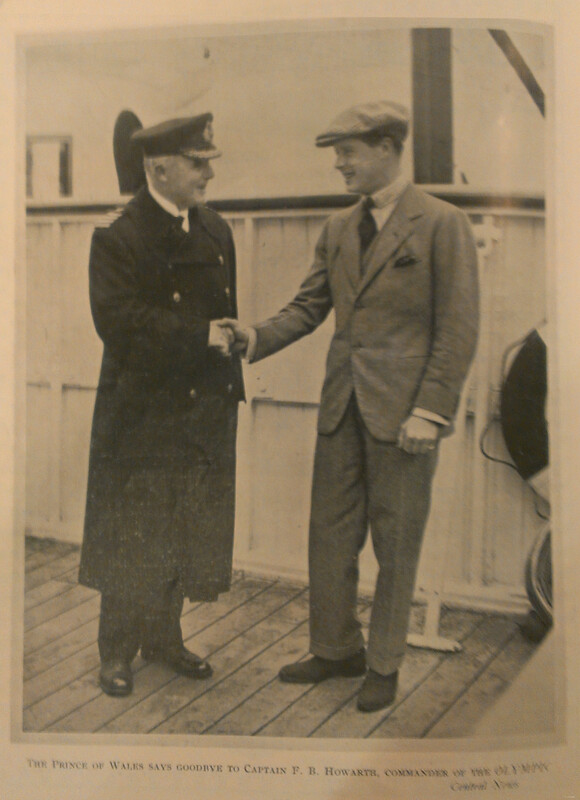 Captain Howarth and the Prince of Wales. 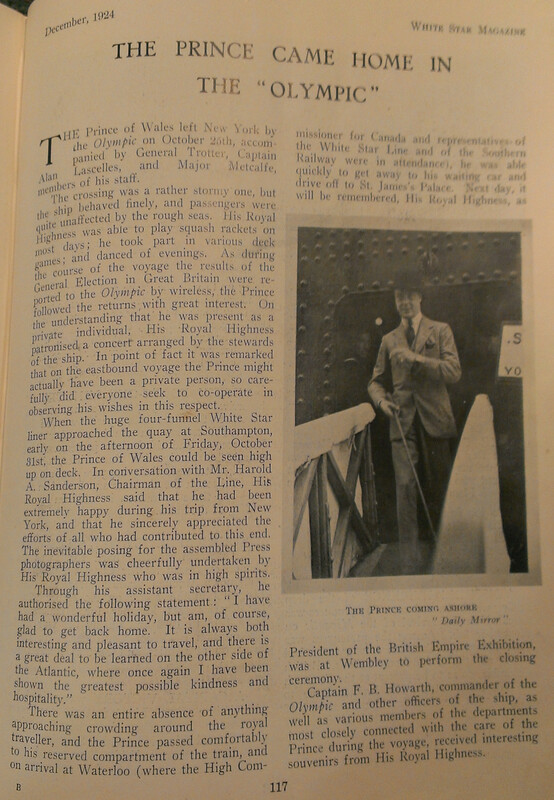 The article about the Prince on the Olympic. 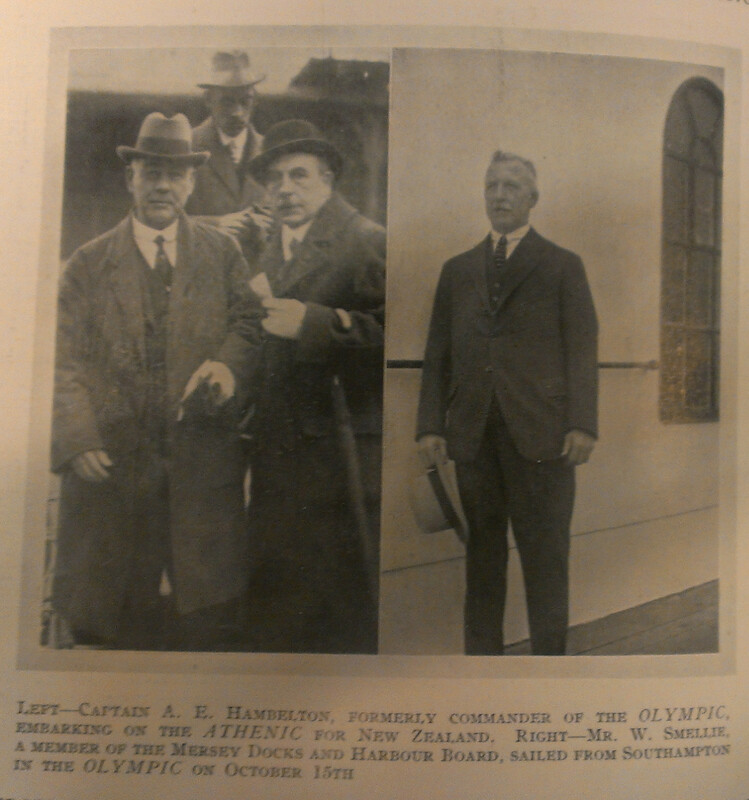 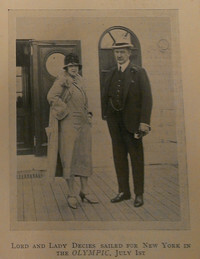 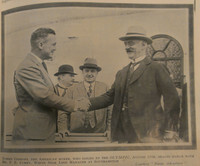 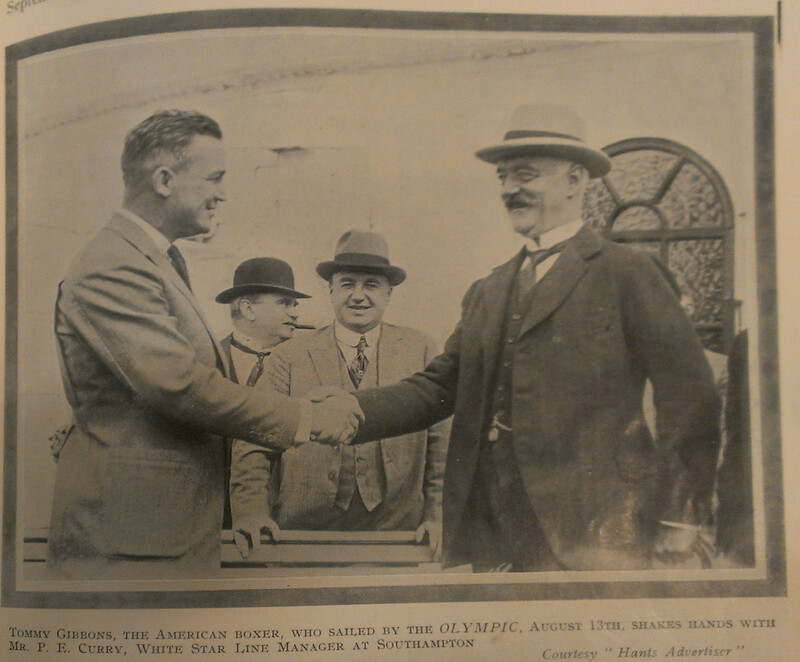 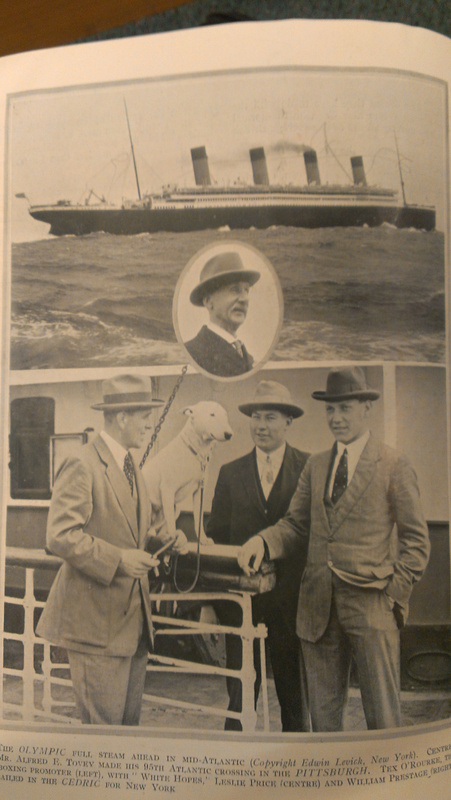 A photograph showing Harold Sanderson, the Chairman of the White Star Line, visiting the Olympic. 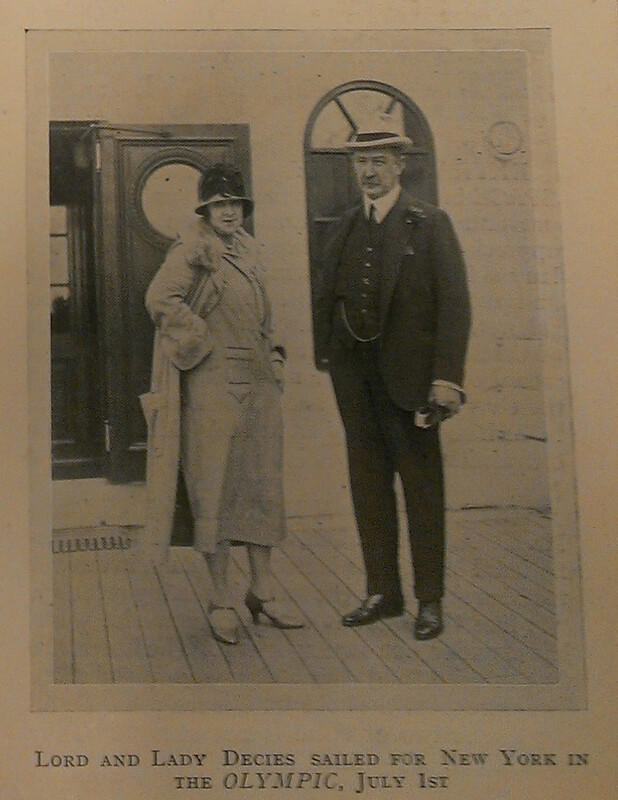 Lord and Lady Decies, outside the portside Grand Staircase entrance. 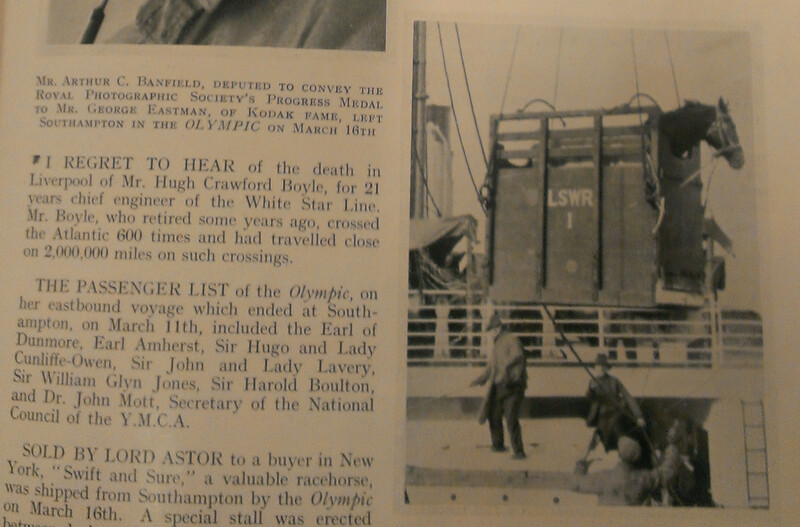 The Olympic can be seen in the Ocean Dock at Southampton. 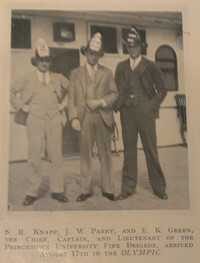 Sold by Lord Astor to a buyer in New York, the racehorse "Swift and Sure" was transported in a special stall between decks with an attendant to hand. 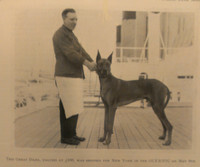 A Great Dane valued at £100 was shipped to New York. 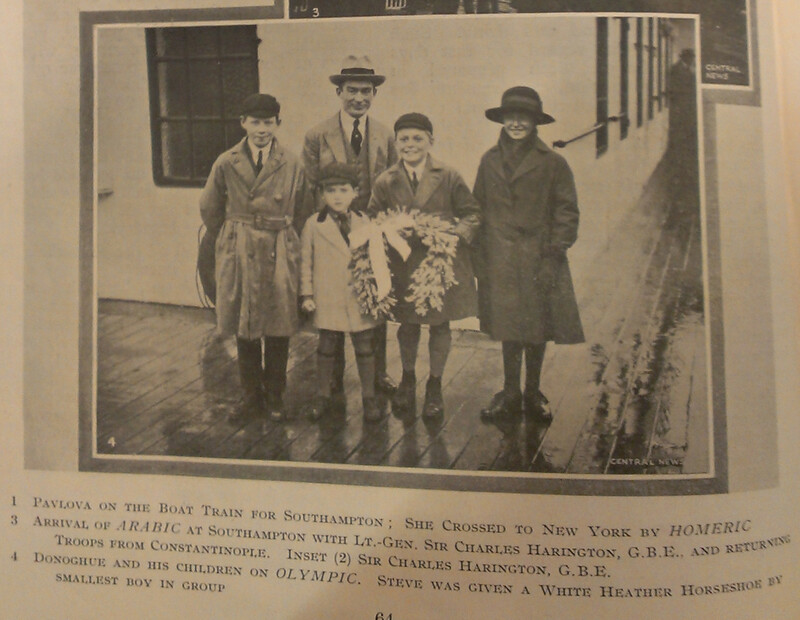 This photo seems to have taken on the deck house surrounding the fourth funnel (over the 1st class smoking room). 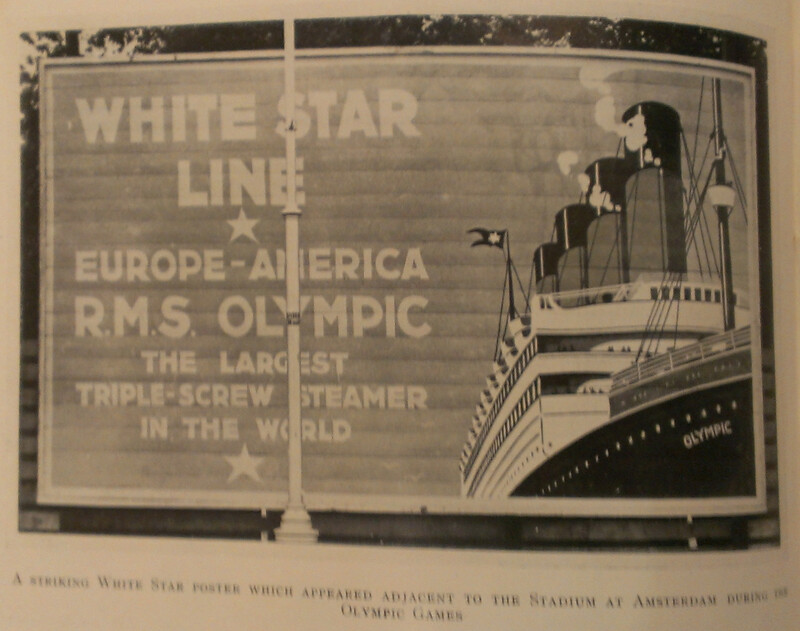 A White Star Line poster which appeared adjacent to the Stadium at Amsterdam during the Olympic Games. Taken at the aft end of A deck, members of the Princetown University Fire Brigade pose for the camera. 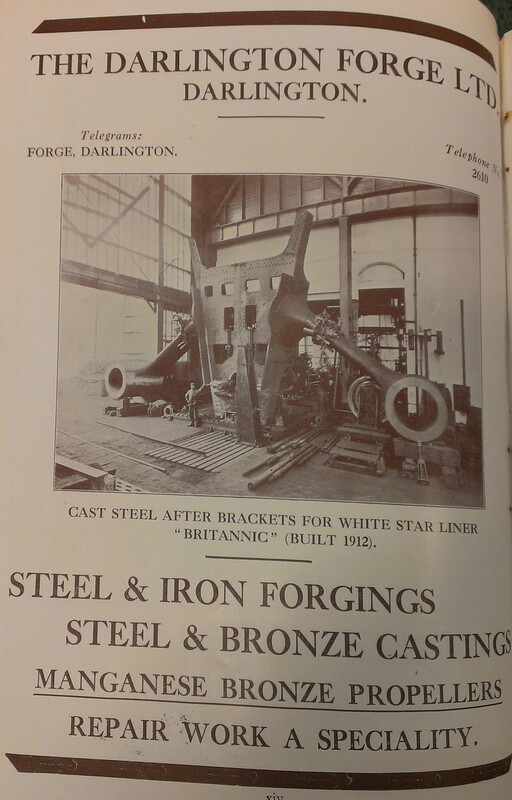 Among the numerous adverts is this one for the Darlington Forge, which manufactured the stern frames and rudders for the Olympic class liners (the assembly here is actually the Titanic's, a name noticeable for its understandable absence in the pages of the magazine). 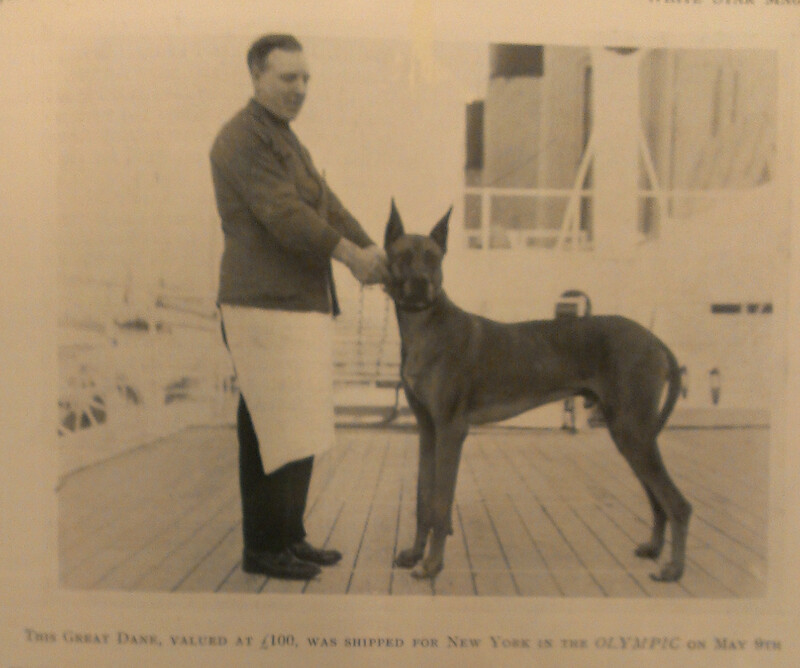 The Olympic in mid ocean. 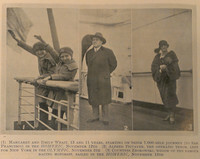 The left hand photograph is of Madame Curie and her daughters on the Olympic (undated) just outside the rearward facing Grand Staircase foyer door. 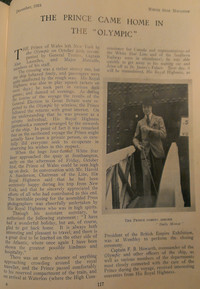 The other photos are from the "White Star Magazine". 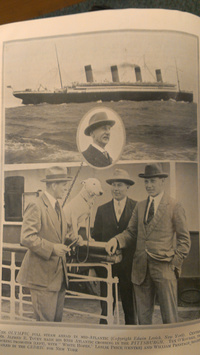 It was on this area on the Titanic that the band played in the last few hours. 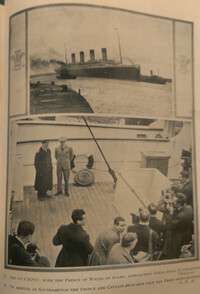 The famous photo of Robert Douglas Spedden spinning his top on the aft end of A deck on the Titanic is contrasted with the photo taken in the same location on the Olympic showing the trio of Princetown University Fire Brigade.